Dandelions are a medicinal plant sadly overlooked and abused by modern western civilization. Labeled an invasive weed just shows the meaning of the word "weed", which is "a plant for which man has no use for". Well that description is certainly based on individual opinions and hopefully attitude change is in its future. Dandelions are not only an important pollinator plant and once it goes to seed is a necessary spring food source for birds and small animals. 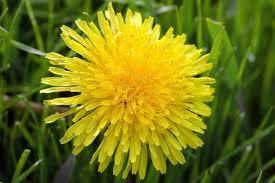 For centuries, before the age of depending on supermarkets for our food, people eagerly sought out the dandelion leaves in spring as a detoxifying green vegetable after the long months of winter. Loaded with vitamins and minerals, the high antioxidant content helps protect against free radicals, supports a healthy lymphatic system and in terms of its use in a lip balm, wonderful for healthy skin. All the ingredients used for this lip balm are known to fight the battle of aging, and that certainly includes the mouth area. No one wants those unsightly wrinkles that can form around the mouth. 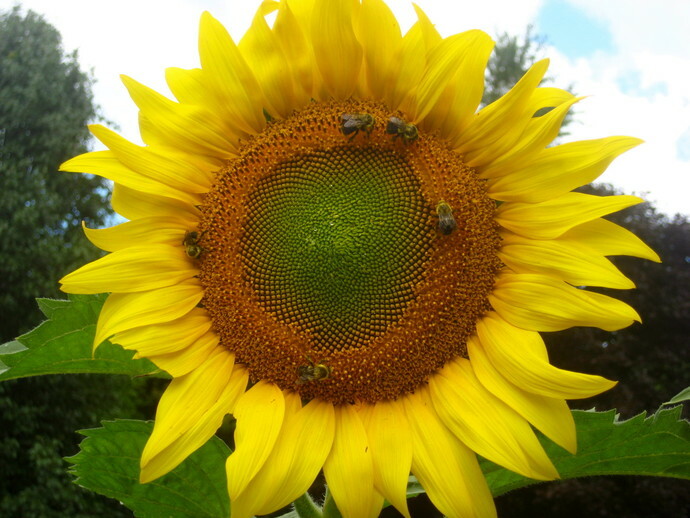 The skin around the mouth is very delicate which makes sunflower oil a good choice. Sunflower oil is very high in essential fatty acids and vitamins A, D and E.
The skin of the lips can easily dry out and a nourishing oil helps the lips retain moisture as it softens the tender skin. Sunflower oil is also a good choice for those who have a nut allergy and cannot use a lip balm containing a nut oil. The herbal oil is made by infusing the dandelion flowers in sunflower oil and letting it sit on a sunny windowsill for six weeks. The resulting oil is a beautiful yellow oil, full of the dandelion's healthy properties. Cocoa butter comes from the cocoa bean so you may taste a subtle touch of chocolate. It is highly protective in that it prevents dehydration by staying on the surface of the skin. In doing so it has water-repellent properties so it is great to take along to the pool or the beach. Castor oil does a lot more than add a little shine. The essential fatty acids that castor oil contains help in restoring the skin's natural moisture balance. This oil penetrates deeply and by stimulating the production of collagen and elastin, helps soften and hydrate the skin. Since whatever is in a lip balm inevitably gets ingested you can be assured there are no potentially toxic preservatives added. Lip balms usually aren't around long enough to worry about spoilage. This lip balm is ideal for the person who doesn't care for the addition of flavorings. There are no added essential oils. Dandelion Flower Lip Balm comes in a lip balm tube and sealed for your protection.